And a Something Something Else: Why not Weinachts? Part 2: Trips! Why not Weinachts? Part 2: Trips! As mentioned in the previous post, we went on 3 lovely day-trips over the Christmas holiday. 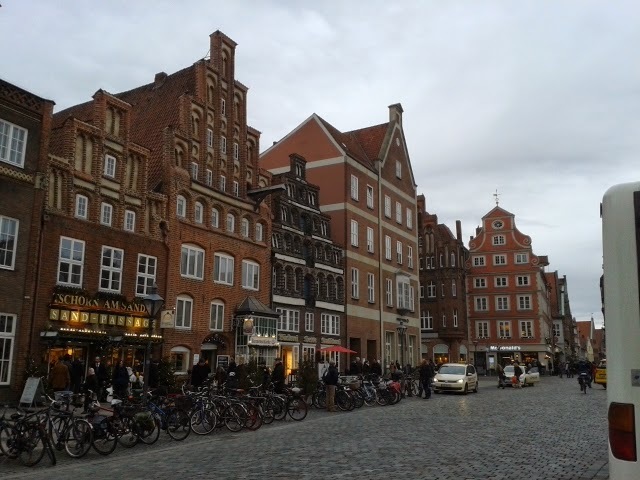 The first of these was Lüneburg. It's a scenic little town on the Ilmenau River. There are a ton of Medieval buildings still around, and it has a really charming atmosphere. We found an amazing little hand-made candy store that had the BEST vanilla rhubarb hard-candy EVER. We of course spent too much... And of course we had the same problem at the specialty chocolate shop that we found as well... but, whatever, it was Christmas time. 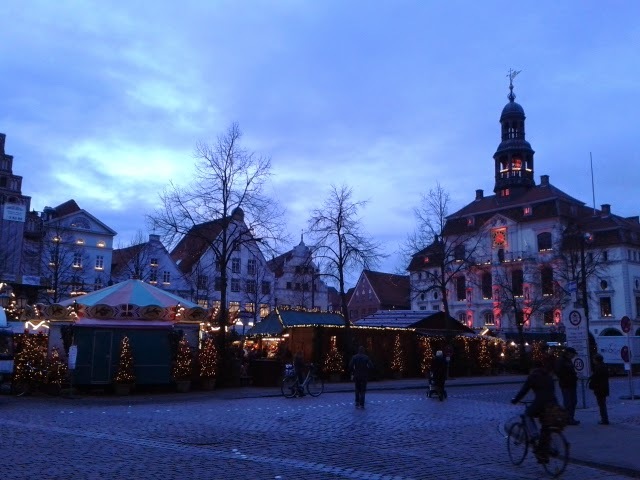 :) There was also another Christmas market - every township seems to have their own. 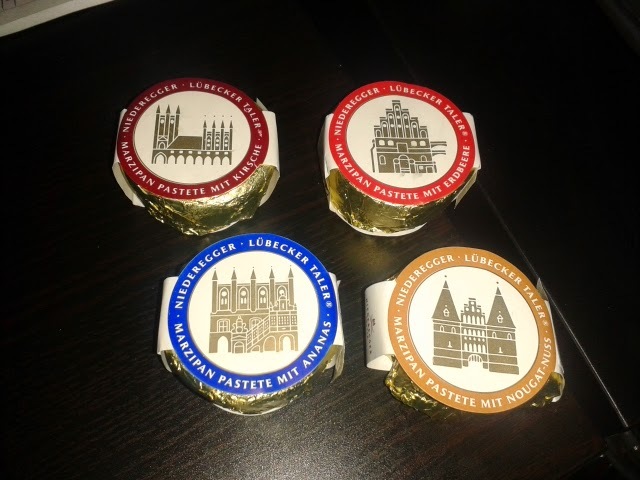 Though, none were as cool as the Hamburg Rathaus Weihnachtsmarkt. 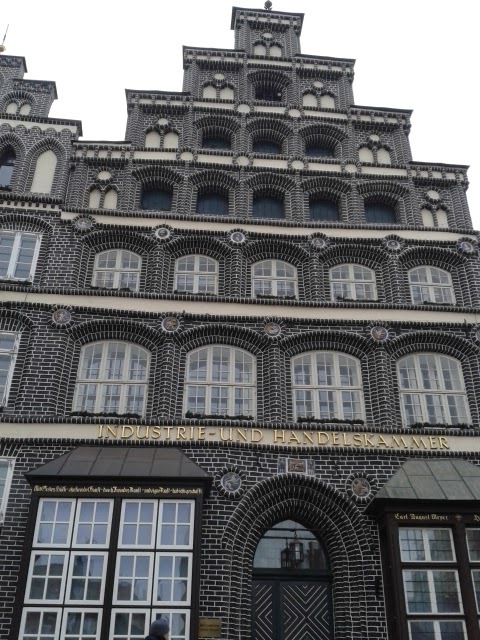 Next, we visited Lübeck - a place reknowned for it's delectable marzipan. And delectable it was. Again, we spend WAY too much, but - we had 100% pure awesome Marzipan for like 2 months, plus some to send home to our favorite peeps (friends and family - if you're reading this blog post and you didn't receive any marzipan from us, don't worry - it probably got lost in the mail... ahem... yeah... we still love you). The town itself was super crazy cool. The whole town is a world heritage site, and for good reason. 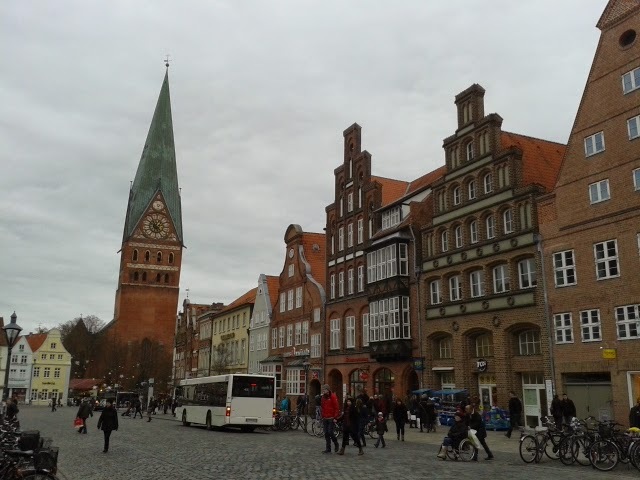 The churches, the town hall, the houses, and most of all the amazing medieval gatehouses, were truly awesome. Lubecker Tor was so cool that I wasn't even offended to find out how many of my ancient Danish invader ancestors it repelled. 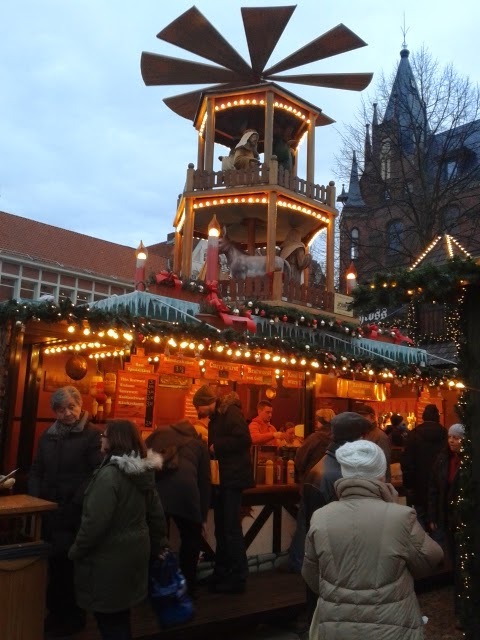 And of course, there was another Christmas market (more hot chocolate was in order). 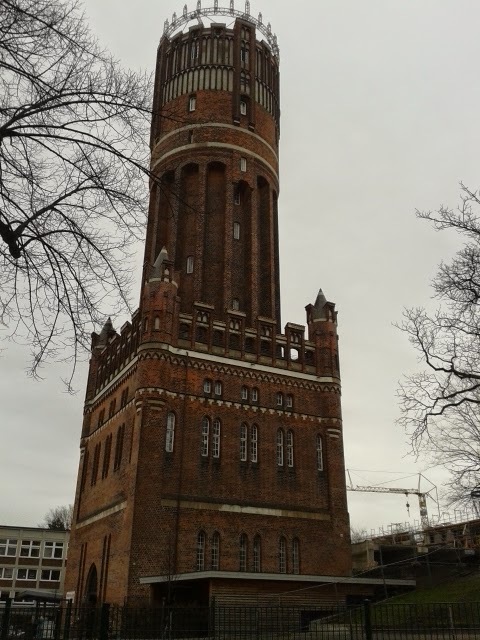 Our final Christmas break day-trip was to Schwerin, where we hoped to see a super cool castle. And that's exactly what we saw - there was another big church that was pretty cool, though it turns out that the Schwerin palace is really the only super unique thing in the area. 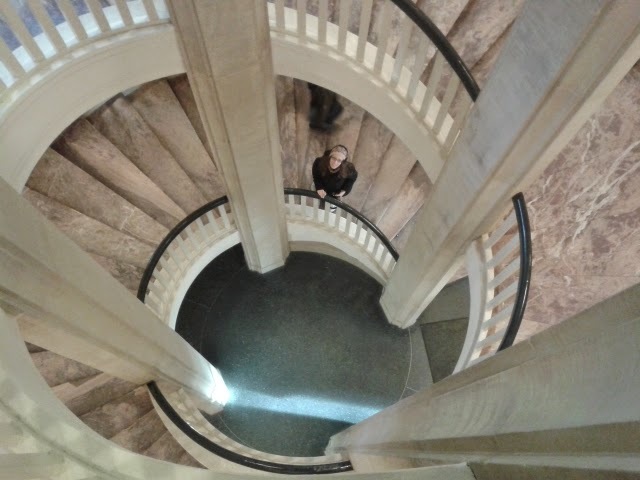 But that's okay - the palace was awesome, as evidenced by the pictures. 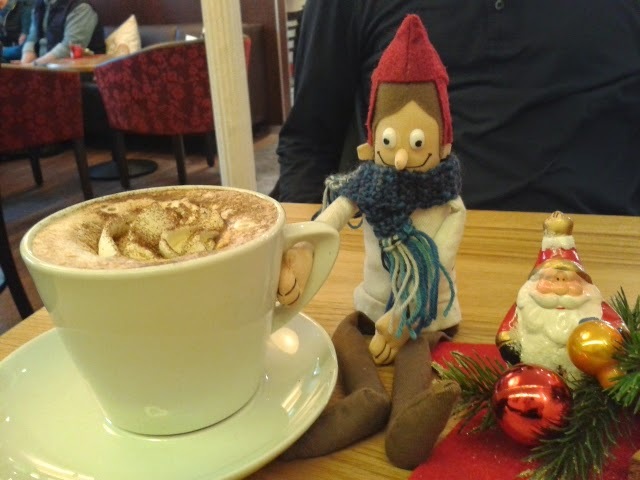 We did however find some more delicious specialty hot chocolate. I think it's become a tradition for us. And it's worth every penny. Every time. Anyway - traveling in Germany is really cool. Within an hour train ride, you can see all sorts of amazing little medieval treasures. Stay tuned - more to come next time!! !